The Mountain Rose Inn is located just six miles from the beautiful Blue Ridge Parkway which is celebrating its 75th anniversary this year. There are many upcoming programs and events planned as a part of the celebration of this milestone. Here are just a few that are planned for June & July. So make your lodging reservations at the Inn & plan to join in on the fun! Saturdays: June 12 & 26 - 9:30-2:00 - Take a guided five-mile hike into Rock Castle Gorge, and learn the stories of the ruins from a community that existed there for over 100 years. (Wear waterproof boots or old shoes for stream crossings). The trail is moderately strenuous. Bring water and a snack. Meet at the entrance to the Rocky Knob cabins. The hike will end at the Rt. 8 (CC Camp Rd.). Park Service will be able to shuttle drivers back to vehicles at the end of the hike, OR participants may set up their own shuttle ahead of time, or hike back to the Rocky Knob Cabins on their own. 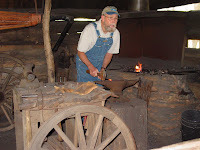 Demonstrations of Early 20th Century Blue Ridge Life - Experience a variety of traditional Appalachian crafts including spinning, weaving, basket making, chair bottoming, and blacksmithing. 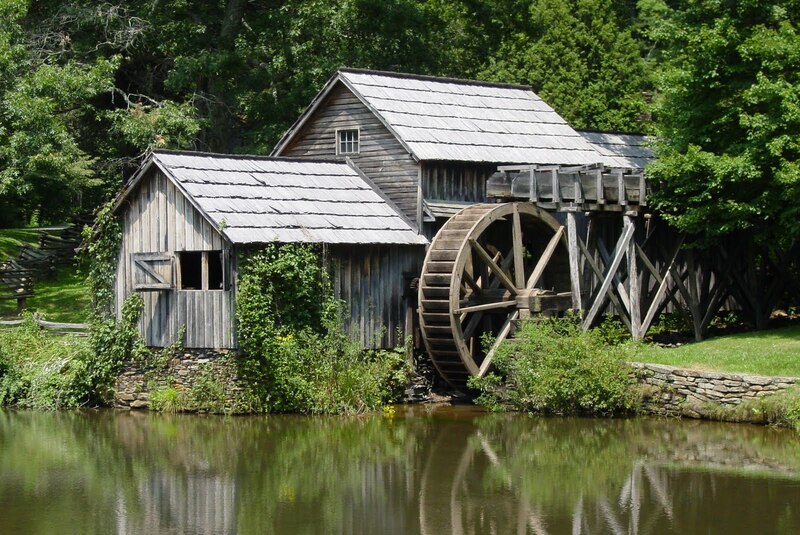 The mill is open daily. Fri., Sat., Sun. - Mill Talk & Grinding Demonstration - 11 am, 1 pm, 3 pm - Listen to a brief ranger talk about Ed & Lizzie Mabry. 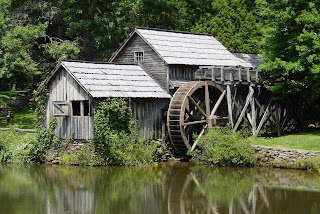 Then see how corn was ground in this turn-of-the-century grist mill. 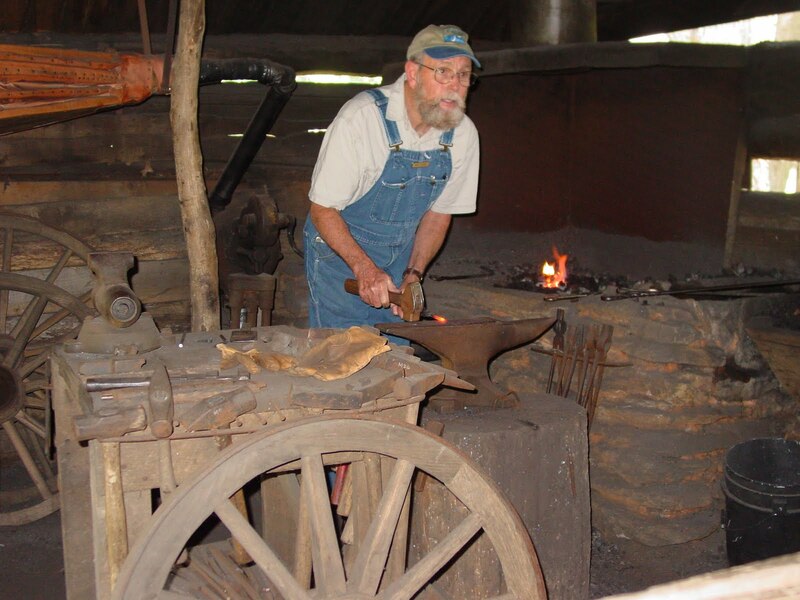 Saturdays - Wagon Wheel Demonstration 1:00 – 4:00 pm - June 19 - These special demonstrations show the entire process that Ed Mabry would have followed to build a wagon wheel. Free Workshops at the Mill - 1:00-4:00 pm - Reservations required. Call the Rocky Knob Visitor Center at (540) 745-9662 for more information on these and other workshops. There is a small fee to cover materials. Sunday, June 13 - 2:00-4:00 pm - They Call Me Aunt Orlene - Actress Phyllis Stump presents this one-woman show about the life of Southwest Virginia midwife, Orlene Puckett. Bring your own chair. So come to the mountains and experience the life, the music and the crafts of Southwest VA.